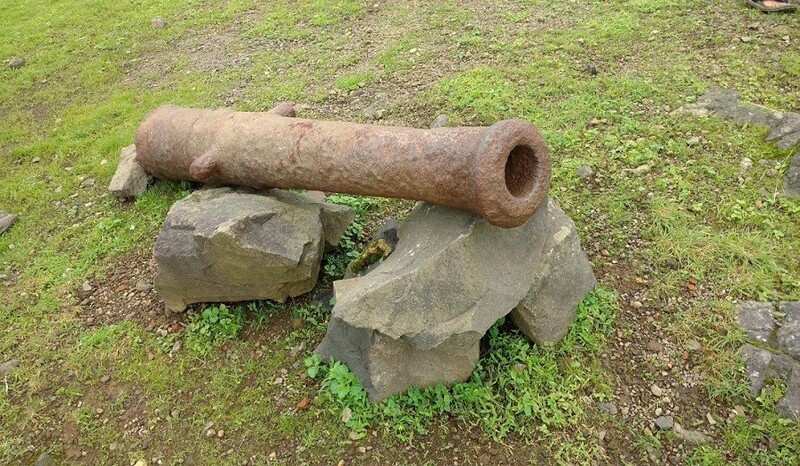 Have you noticed a grand fort standing high upon a hill overlooking the Aamby Valley in Lonavala? That’s Koraigad and we plan to get you to the top of the fort! 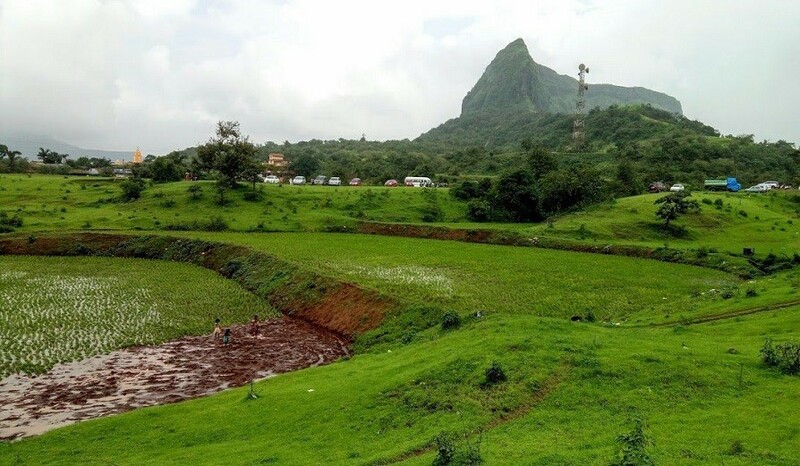 Koraigad is conveniently located in Lonavala, close enough to be easily accessible for one-day getaway and far enough to avoid the touristy hustle-bustle at the popular spots. 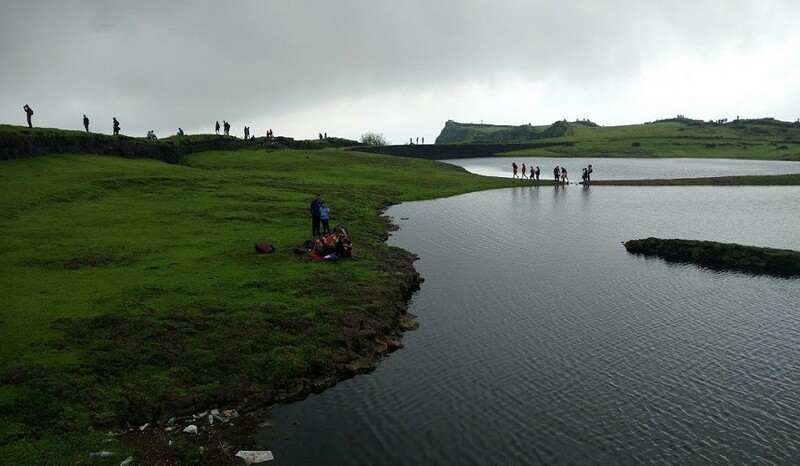 The fort also houses a couple of refreshing and usually clean ponds which are a treat to the eyes with the clouds floating by during monsoons. Such a relaxing sight! Since it is a short trek, it leaves ample time for fun activities along the way. A pit-stop on the way will provide an exquisite view of the Aamby Valley and the lake. Don’t miss it! 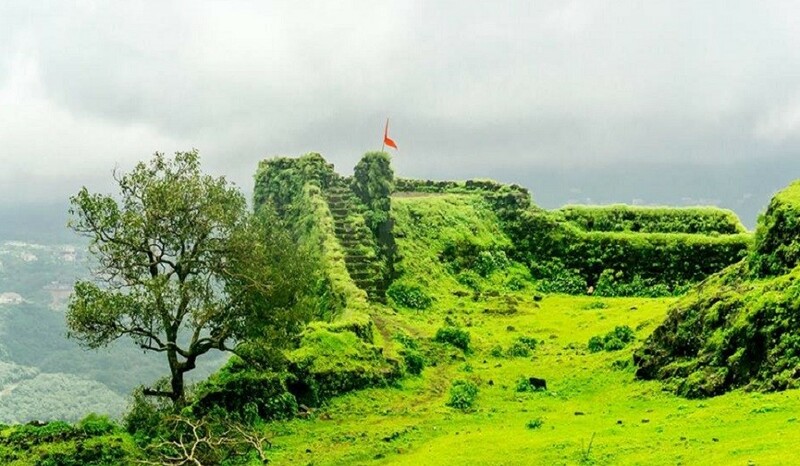 Situated about 20 kms outside Lonavala, Koraigad fort stands little over 900m above sea level. One can easily find a flight of about 500 steps laid out to reach the fort from Pethshahpur village in less than an hour. Another route from Ambavne village is more challenging during rains as it becomes slippery. The fort was named after Goddess Koraidevi. Her temple, which has recently been renovated and restored, can be visited inside the fort along with two other temples dedicated to Vishnu and Shiva. 12:00 pm: Reach the top and explore the fort. You will be surprised to see how vast it is!